Director Bunch joins the Luskin Center for History and Policy to discuss the role of the historian in shaping today’s society. Director Bunch has been the director of the National Museum of African American History and Culture since 2005. He has written widely on topics in American history, including the Black military experience, all-Black town in the American West, and the American presidency. 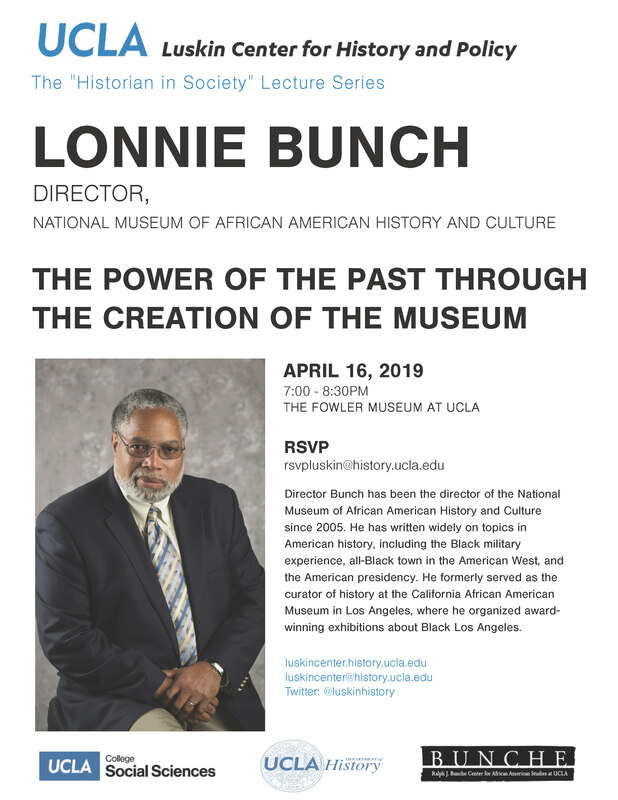 He formerly served as the curator of history at the California African American Museum in Los Angeles, where he organized award-winning exhibitions about Black Los Angeles.